Keep your Tate Modern model safe and dust free in this sturdy display box. The box comes with a clear acrylic window that carries the model and architects name engraved into the rear surface. The black lid also carries the model and architects name. The model sits on a clear acrylic tray that slides the model into and out of the box. We use these boxes to ship our prototypes and finished models to clients. The box is secured with a simple piece of black ribbon. 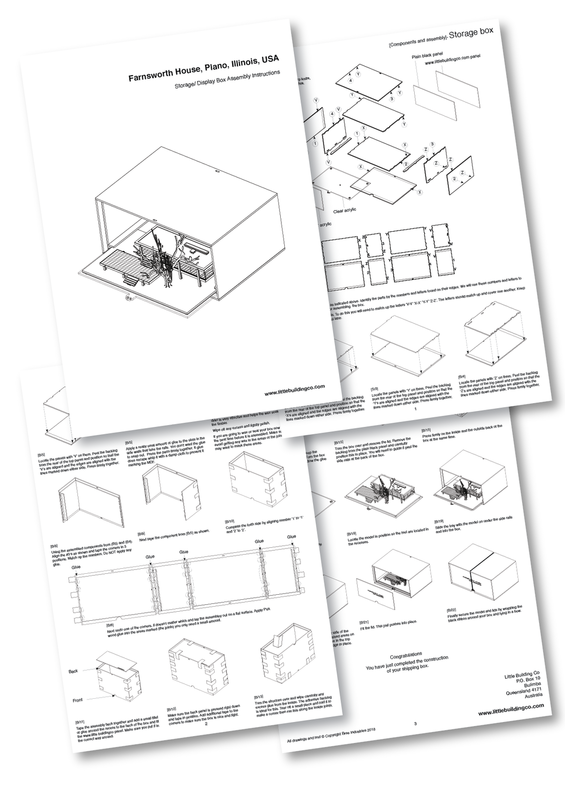 The box is supplied as a flat pack and you require P.V.A. wood glue and masking tape and furniture wax. It comes with clear easy to follow instructions. Our instructions included with the travel box are easy to follow stage by stage diagrams. P.V.A. wood glue, masking tape and furniture wax is required but not supplied.